Buying the best that the technology has to offer is no easy task and when it comes to MacBooks, each one comes at a fortune. So, it is imperative we give all these gadgets the proper care and maintenance it requires. However, despite all our carefulness and regular servicing from Apple’s end, there might come an unfortunate time when the MacBook gets damaged. Cracked Screen is one of the most common issues encountered by any person using any kind of laptop or mobile. The worst thing about it is that in most of the cases, it is not covered by the warranty or happens after the warranty period expires. Despite how common this issue is, it is also one of the most expensive damage your device can incur. To top off everything, this is not something people can fix themselves by looking up online tutorials, as is the trend these days. 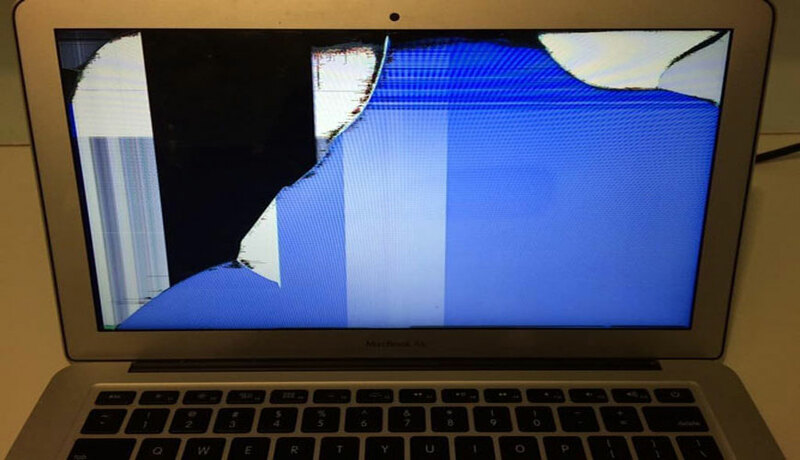 So, how do you get your cracked MacBook screen repaired? At MacBook Repairs Mumbai, we offer the best solution to your dilemma. A fully transparent, easy, quick and affordable solution to get your cracked MacBook screen repaired. Here in we have explained how our service works and why it is perhaps the best option to get your work done. The first step towards getting your gadget fixed is to contact us at our MacBook Repair Thane or Mumbai branch through the phone number provided on our site. Over a call or in person, you explain the details of your issue, whatever that may be, along with your MacBook model details. Our technicians on a call with you will give you a provisional diagnosis of your issue and give you an estimated cost. Not just that, you will be explained, in depth about what all are the repair or diagnostic options that you have and you get to pick the one best suited to your needs and budget, all for free. Once you have an idea about what is wrong with your device and what will be the repair path opted for, you can confidently hand over your laptop, either to our personnel sent to pick it up or at our branch. Our expert and qualified professionals will get on to your case as soon as the device reaches them to make sure you have it back as soon as it is possible. Throughout the procedure, you will receive regular updates about how the service is progressing as we believe keeping the customer in the loop is the foundation towards building trust. Once done, you will have your device dropped at your location or you can come to pick it up. At each step of the process, we strive to ensure complete transparency and trust. The people working on your device repair are the best in their field and every part, hardware or software, used in the process are the genuine spares bought from verified and registered sellers to provide you with unmatched, impeccable service at rates that never burn a hole through your pocket. MacBook Repair Mumbai and Thane is your one-stop destination for any and all issue that you might have with your MacBook Air or MacBook Pro.